Nail down the furniture, and hide the children… the fey are coming! 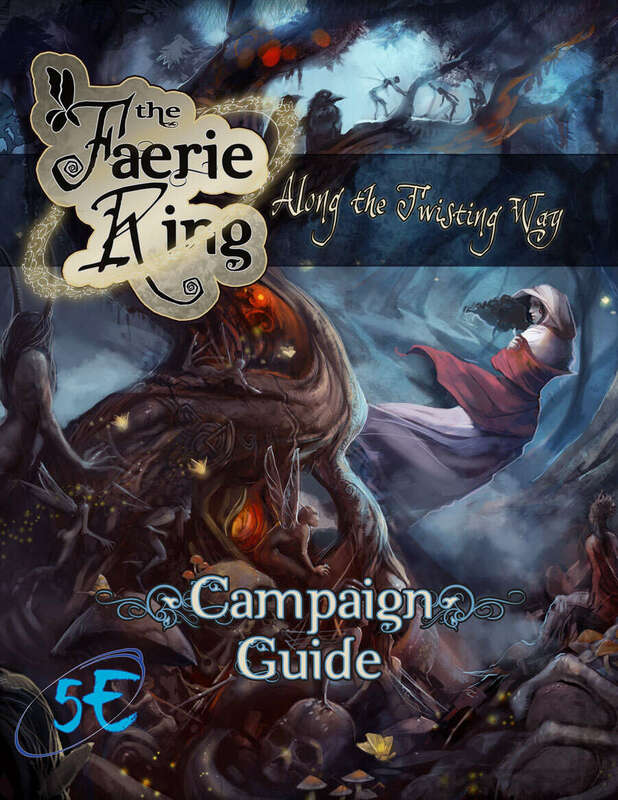 The Faerie Ring is here, but before you meet your new fey lords, you need to get up to speed with The Faerie Ring: Along the Twisting Way Prelude, taken right from the Campaign Guide itself. What are the fey? Where do they come from? Why do they torment you so? Most cultures easily rattle off stories of the fey, portraying them in the most colorful of ways. On the surface, the tales seem little more than entertainment and whimsy, perhaps a moral interjected here and there. More often than not, they are so contradictory or ridiculous as to be easily dismissed. However, if you look long enough, you eventually realize that the fey are simply more diverse and complicated than previously imagined. The fey aren’t like you and me. The Faerie Ring brings you the worlds of the fey. From the fey lords to those that serve them. Their lands, their magics, their machinations. Everything a GM needs to bring a fresh dose of fey to a game. And for players, there are playable fey races, feats, incantations, and more. The Faerie Ring: Along the Twisting Way Prelude is merely the beginning of the journey. The Faerie Ring: Along the Twisting Way Prelude is the first 27 pages from the Campaign Guide, available now. It uses the Open Game License and the Pathfinder Roleplaying Game Compatibility License. It is compatible with the Pathfinder Roleplaying Game and standard 3.5E fantasy RPGs. This is a 'taste' of the real book, saying it has 27 pages above. No, it downloaded but 4. Might have changed once the real book came out, but I noticed. Buying the 'real' book to add into my far too thin collection of books on Fey and hope te series continues. This title was added to our catalog on December 21, 2010.